Should the Washington Redskins keep their name? Imagine a sports team using an African American as a mascot and it being named the “Alabama Negros.” If that happened today the country would riot. How is using Native Americans as a mascot any different?Native Americans have been through a lot as a race. Once America became a country, the government continuously took away their land. The “big” argument for keeping the name is that only nine percent of Native Americans are offended, but isn’t that enough? It shouldn’t be fair for a white team owner to use a derogatory term as a team name; if 10 percent of a group of people is offended that should be enough given their rough history. Mascots and team names are often named after animals or objects like the Chicago Bears or the San Diego Chargers. By naming a team for a race of people, especially a derogatory name like “Redskin,” teams are pretty much equating a race to something less than human. Fans will probably buy gear for their favorite team, no matter what the name is. Money shouldn’t even be an issue in this debate. In 2013 Forbes ranked the Redskins as the league’s third most valuable team at $1.7 billion; the team could definitely afford a name and mascot change. A moral issue should outweigh an economic one. The derogatory term of “Redskin,” is a huge part of the issue, but it’s more than that. 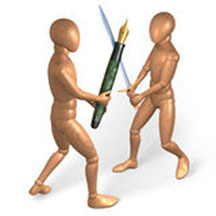 It’s not the word itself but the intent behind it – equating a race to a symbol. The Redskins aren’t the only team that needs a name change. What about the Cleveland Indians, Chicago Blackhawks, the Kansas City Chiefs, and any other professional or nonprofessional team with a name relating back to Native Americans? America is a country that strives to be free of racism; a simple team name change could bring the country one step closer to this goal. Professional sports are a great form of entertainment. They’re competitive, exciting and inspire a sense of local pride. Citizens have their team names everywhere, on their clothes, cars and screensavers. One of the most controversial team names though, belongs to the NFL’s Washington Redskins.Their name is being criticized for its double meaning, which refers to Native Americans. Although the meaning can be seen as offensive to some, that is not its purpose. The name was established over 70 years ago. For decades, local fans have been cheering for this team and it is only recently that people have begun to take notice of the name, which does not represent the franchise’s views or opinions on Native Americans. Never have the teams shown any type of discrimination or racism toward any race. In a 2004 poll published by the National Annenberg Election Survey, 90 percent of Native Americans said the name did not offend them while nine percent said it did and one percent had no answer. In a poll published by ESPN in 2014, 71 percent of Americans said the Redskins should keep their name. It is not that hard to see why this team should stay the same. If they changed their name they would also have to change everything in their franchise. They would have to completely redesign all of their merchandise, change their uniforms, the stadium, and even the mascot. It would take months, if not years, to scrap 70 years of building a team name and tradition. By changing their name, the Redskins would have to use a lot of money to pay for the changes, and they would be changing the name of a traditional football team. This entry was posted in Home, In & Around AHS, Pro Sports, Sports, Teen Interest and tagged 2014-15, AHS, Attleboro High School, Dueling Pens, football, Jonathan Kermah, NFL, Osiel Orellana, Redskins, Washington on March 31, 2015 by abeeahs. Point guard is considered the toughest position to play in the National Basketball Association (NBA). In previous eras, the point guard was just expected to lead their teammates in the right position to score, but today they are expected to run an offense smoothly while also scoring for themselves. In the league, it is pretty hard to find a team that doesn’t have a good starting point guard. Even teams that are currently out of the playoffs have solid point guards like the Denver Nuggets’ Ty Lawson, Minnesota Timberwolves’ Ricky Rubio, or Charlotte Hornets’ Kemba Walker. 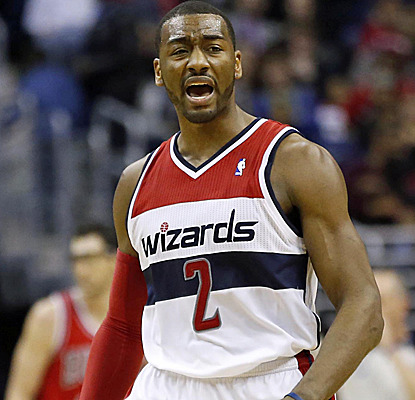 John Wall (Washington Wizards) has developed into a near top three point guard. When he came into the league he was extremely athletic but raw. No one could really match his speed but he didn’t really know how to play at the professional level. In Wall’s rookie season he was out of control and couldn’t really shoot. Currently in his fifth season, Wall has made great progress in his areas of weakness. He increased his field goal percentage from 40.9 to 45.1 according to nba.com. The increase in percentage can be contributed to taking smarter shots and developing his jump shot. Now that Wall has learned to balance his speed with control, almost no one can stop him from getting to the rim. With this ability he has become one of the best distributers in the league. He is currently leading the league in assists at 10.1 per game according to nba.com. His speed also has contributed to him becoming a very strong defender. Wall’s elite speed also lends itself to his greatest strength of playing in transition as seen on this NBA YouTube clip. His speed and great finishing ability make his fast break unstoppable to contain, especially when combined with his great vision. Although Wall has come a long way, he could still be better. He has greatly improved his jump shot, but his three point shot is below average. His three point percentage is slightly below 30 percent and is making less than one a game according to nba.com. In today’s league the three pointers is an essential part of the game and to be a supreme point guard, that’s what he has to improve. Alongside Wall’s inconsistent shot from deep, Wall averages almost four turnovers a game according to nba.com. This is reasonable seeing that he leads the league in assists per game, but he could be more efficient. 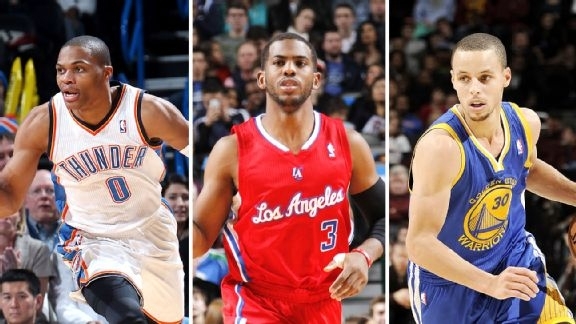 If he wants to be the best he has to be efficiently elite like Chris Paul’s league leading 4.5 assists according to nba.com. Despite a few minor issues, Wall has developed into a top point guard in the league, and don’t be surprised if he is number one in a few years. 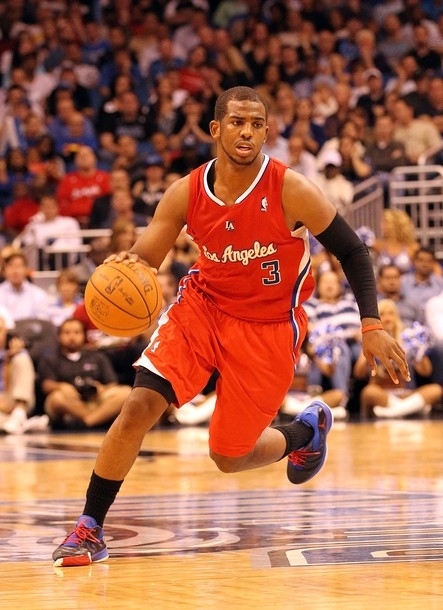 Chris Paul (Los Angeles Clippers) for a long time was considered the best point guard in the NBA. Today he still plays at a high level, and some might view him as still the best, but there are younger point guards this season that can be argued as better than him. Paul is the perfect example of what an NBA point guard should be. He blends scoring and distributing better than anyone else in the league. He is better than most point guards in switching from passing to scoring; this season he currently averages 17.9 points and 9.9 assists per game according to nba.com. Paul’s balance of scoring and passing also shows in his efficiency. By picking his spots to pass, he is one of the most efficient passers in the league. He averages a league high 4.5 assist to turnover ratio, which means that for every four and a half assists Paul has only one turnover. This season Paul currently averages 1.8 steals per game according to nba.com but his defensive ability can’t be measured statistically. He manages to be an elite defender even though he is only 6 feet and 175 pounds. An example was a game against the Cavaliers this season on Feb. 5; Paul guarded Lebron James (6 ft 8 and 250 lbs) for a short period of time. Paul is going to be an NBA Hall of Famer, but this season there are younger players ahead of him. Paul has lost the “wow factor” that other point guards have. He doesn’t have freakish athleticism like Russell Westbrook or John Wall and he doesn’t have the elite outside shooting of Stephen Curry. Chris Paul is a consistent double-double, excellent leader, and one of the best point guards in the game, but at the age of 29, he just isn’t as great as other point guards listed below. Stephen Curry (Golden State Warriors), often referred to as Steph, has become one of the most deadly offensive players in the NBA. He is currently one of the league leaders in MVP votes because of his elite offensive ability. Curry is one of the best shooters to play point guard in NBA history. This season he averages 23.8 points per game with a league leading 3.2 three pointers per game according to nba.com. His stats don’t even show how great his scoring ability is. His accuracy from deep is unbelievable. “The baby faced assassin” isn’t just shooting spot up jumpers like players like Kyle Korver or his teammate Klay Thompson, a large amount of his three pointers are made off the dribble which can be seen on NBA’s YouTube channel. 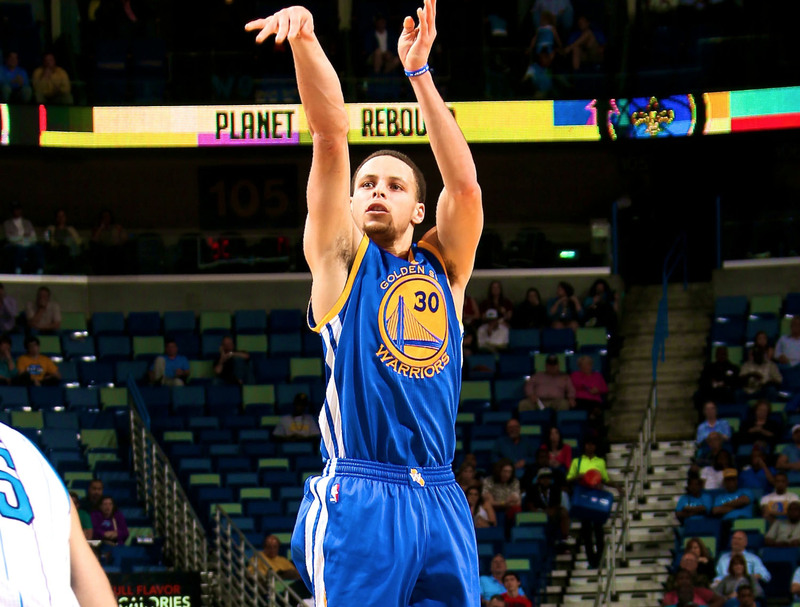 Curry’s skill set isn’t just limited to shooting; he is an elite passer and ball handler. He currently averages 7.8 assists per game according to nba.com and leaves many players embarrassed when they try to guard him as seen on this YouTube clip. Although Curry is one of the most offensively skilled players in the game, his defense holds him back as the best point guard. Curry has definitely improved defensively under new head coach Steve Kerr and with the help of defensive anchor Andrew Bogut. Because the Warriors are a great defensive team, Curry’s defensive weaknesses are often hidden. There are many times when Curry’s teammates are assigned to guard the opposing point guard for him while he guards the team’s weakest offensive player. Even with Curry’s mediocre defense, Curry has to be recognized as a top point guard. His offensive skill set is unmatched and is a huge contribution to the Warriors league leading record of 52-13. Russell Westbrook (Oklahoma City Thunder) is the most dominate point guard. This season Westbrook has willed his team back into the playoffs after a slow start and without his teammate and reigning MVP, Kevin Durant, sidelined due to a foot injury. For years NBA analysts talked about how Westbrook is detrimental to his team, but more than ever before anti-Westbrook statements are just ludicrous. Westbrook is currently averaging 27.3 points, 7.1 rebounds, 2.1 steals and 8.3 assists per game this season (nba.com), which are all career highs. Westbrook makes plays that no other point guard can, like dunks seen in this Youtube clip. His athletic ability is something unheard of in all of NBA history. The only point guards in the past five years comparable in athleticism are John Wall and Derrick Rose and both aren’t even close to his level of play this season. Westbrook is currently leading the league in triple doubles with six, and he collected five of the six in Feb. The triple double is arguably the toughest stat line to get in basketball and Westbrook took it one step further by scoring 49 points with 16 rebounds and 10 assists on Feb. 17. These stats are comparable to that of a videogame’s. It’s no secret that Westbrook has a tendency to be reckless in his play. For years Westbrook naysayers have tried to tear him down because of his high number of turnovers and field goal attempts. This season is no different; he is averaging a career high of 4.1 turnovers and 21.2 attempted shots per game according to nba.com. There is no arguing that there are times in which Westbrook is aggressive to the point of hurting his team. There are times when he makes bad passes, takes bad shots, and gambles on defense but that comes with his aggressive plays, which make him almost unstoppable. Westbrook plays with a fearless attitude that leads to unbelievable plays and sometimes frustrating plays; this season unbelievable clearly outweighs frustrating. Westbrook plays with an energy that has other point guards scared. Curry even admitted that Westbrook is his hardest matchup in an interview with Bill Simmons for Grantland. 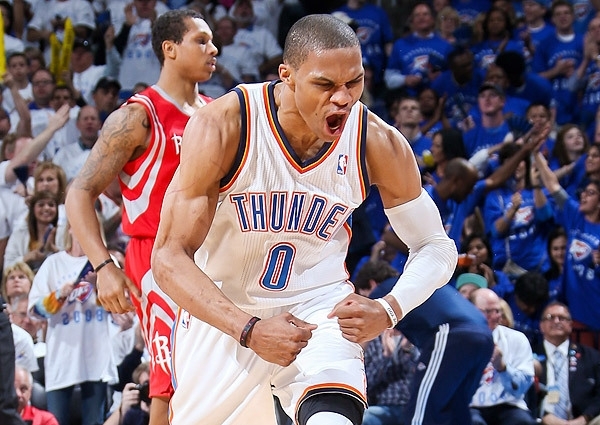 Westbrook’s endless energy, inhuman athleticism, and fearless attitude have made him the best. Point guard may be the toughest position in the NBA but most nights Westbrook makes it look easy. This entry was posted in Home, In & Around AHS, Pro Sports, Sports, Teen Interest and tagged 2014-15, Basketball, Chris Paul, John Wall, Jonathan Kermah, NBA, Russell Westbrook, Stephen Curry on March 31, 2015 by abeeahs. On March 14 the Massachusetts Special Olympics held their seventeenth annual Polar Plunge. Attleboro High School’s Project Unite Club fundraised and braved the cold ocean water. Part of the proceeds went to the Attleboro School Day Games, which are being held on June 10 this year. Check out these photos from the event. Photos by: North Attleboro High School teacher, Christina Mitnik. This entry was posted in Home and tagged 2014-15, AHS, Attleboro High School, Bishop Feehan High School, Hunter Wain, Polar Plunge, Special Olympics on March 31, 2015 by abeeahs. The Attleboro High School Drama Club’s play Snow Angel made it through the first round and advanced to the Massachusetts High School Drama semi-finals but didn’t advance further. Drama director Mr. Peter Tarsi explained the process. Question: What is the drama festival? Answer: The Massachusetts High School Drama Festival is a statewide tri-level tournament. Over 100 schools throughout the state participate. Each school produces a short play, no longer than forty minutes, and brings it – sets, costumes, actors, and everything – to one of the fourteen preliminary host sites. At each site, there are seven or eight schools performing different plays. Judges at each site select three schools to advance to the semi-finals two weeks later, and then judges select a total of fourteen schools to advance to the state finals two weeks after that. Q: Who was in it? What parts did they play? A: There was a cast of sixteen AHS students in our production of Snow Angel along with almost another twenty stage and technical crew members. The main parts were played by senior Adena Darkstar, who played Frida, a girl who’s an outcast among her peers. She keeps a journal of her encounters with Eva, played by junior Sarah Manlove, a girl Frida finds making angels in the snow. Other cast members include seniors Renee Giroaurd, Evan Laferriere, Eli Malo, Tyler Richardson, and Stephen Timas; juniors Kendra Cardoso, Delenn Martin and Sam O’Donnell; sophomores Joelle Mercier, Mark Murray, Alexis Ramos, James Scott; and freshmen Colby Goyette and Jalyn King. Q: How was the experience at semi-finals? A: Always exciting! There are wonderful plays there, and the point of the day is to experience great theater and interact with fellow theater-loving students from other schools. Win or lose, that’s what the kids remember most about the day: how much fun it was to be there. Q: When was the last time AHS went to semis? A: Last year. We’ve advanced to semi-finals for three straight years now, and six out of the past nine. Q: Has AHS ever gone all the way in previous years? A: We made it to the State Finals in 2003, but we haven’t since then. Q: What is it like to see your work performed? A: I’m always proud of the students. I stress that the results from the judges matter less to me than them taking pride in their work and putting on a good show. We consistently receive praise from other schools, and that’s a testament to the Blue Pride alive in the AHS Drama Club. Q: What was the play about? A: ( Laferriere) The play is about a spooky ghost that never existed because some loner made her up to spice up their journal but then everyone read it and ran with the story and then everyone bonds with the loner when Eli burned down a shed in an attempt to impress a female. A: (Manlove) The show takes place in a blizzard! A: (King) It’s about fifteen teenagers spending their snow day together and trying to figure out what to write for homework. Q: How many years have you been in drama? A: (Laferriere) I’ve been in drama for four years. A: (Malo) Attleboro High School drama club for three years. Four years for me. A: (Manlove) Drama for three years. A: (Scott) Attleboro Drama? Two years. A: (Richardson) I’ve been in the drama club for four years. A: (Ramos) I’ve been in Attleboro drama for two years. A: (Murray) I just started performing in drama club this year. A: (Cardoso) Attleboro drama, three years for me. you’d like to know about the festival? Q: Yes, what is the festival? How long has there been a festival? A: (Malo) The festival has been around forever. It is a tournament of plays. A: (Girouard) It’s called the METG high school drama festival. A: (Richardson) It’s the METG’s 64th festival and it’s Attleboro’s 17th year participating. The Festival is split into three rounds: prelims, semi-finals and finals. Three schools from each site are chosen to move on to semis and then two from each semis site are chosen to move on to finals. Attleboro was one out of 42 schools to move on to semi-finals, I believe. Q: What character did you play? How would you describe your character? A: (Scott) I played Gus, the lonely store worker who had about three friends. He was a part of me that I never really got to see before, so playing him was expanding on a part of me I hadn’t developed yet. It was incredible fun bringing life into the Pretzel Knot worker who was consistently always left alone. Preparing to function as him didn’t really take a whole lot of deviation from who I normally am. I listened to very Grunge rock and Black Metal, which was the lonely music during the 90s. Doofus was my friend along with Helen. I hung out with them more often than not. A: (Cardoso) I played Fran. I have a twin name Betty. A: (Manlove) I play Eva. She was the product of everyone’s imagination, specifically Frida’s. It was definitely hard preparing for Eva because she mirrored a couple of other characters when she met them. I had to watch everyone during rehearsals to figure out who their characters were so I could act accordingly. A: (Laferriere) I was Clifford, a sociopath. I watched American Psycho [television show]. It was the usual. A: (Girouard) I played Jill, a nice girl. It wasn’t hard for me to prepare for this role. We all had composition books that we did our character work in because our characters all had notebooks. A: (Richardson) I played Vincent. He was kind of a nerd who owned a pet chameleon. It was a little harder to prepare than usual because of the missed rehearsals due to snow days, but luckily everyone in the cast was dedicated and really put their all into the rehearsals we did have. A: (Murray) I played Doofus the class clown of the group, and the only hard parts were working around all the snow like Tyler said. A: (Laferriere) I just watched American Psycho [television show] at least twice every snow day. A: (Ramos) I played Betty, Fran’s fraternal twin. A: (Mercier) I played Helen, a punk who bullied Frida, and in the end really was on her side, and realized that they were alike in many ways and befriended her. It was a challenge because I really love Adena (the girl who played Frida) and it was hard to be mean to her, but I did love being a strong, young lady, who didn’t care what others think. Advancing to semi-finals felt really nice knowing that what the cast as a whole produced was in the top three at our site. Not advancing to semi-finals was tough but I enjoyed seeing wonderful high school theater that you clearly knew was better but it was a good learning experience and it improves my acting seeing others act. Q: What was it like to win the first round but then lose semis? A: (Richardson) It felt really good to move on to semis because it meant that we got to show more people our show, people we knew would appreciate all of the hard work we put into it. And it also meant we got to do the same, see other schools whose members really put their all into fantastic performances. A: (Scott) There is truly nothing else like it [festival]. It’s a fantastic display of color and sound. Beauty and Beastliness. I got to meet so many people whom I will call friend for a lifetime. I was very anguished by us not moving on, not due to the loss of the trophy, but the loss of Deer points, but I truly loved every minute of it. 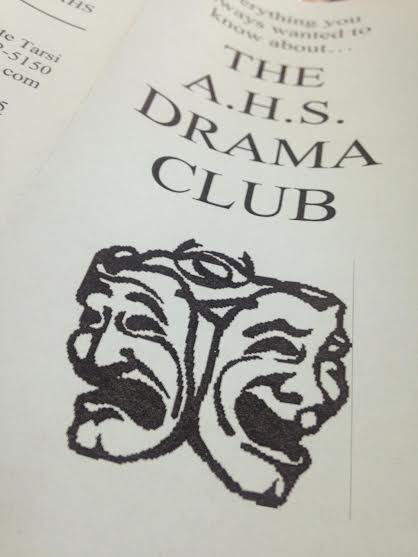 This entry was posted in Clubs, Entertainment, Events & Activities, Home, In & Around AHS, Teen Interest and tagged 2014-15, AHS, Attleboro High School, Drama Festival, Joetta Nuahn, Massachusetts High School Drama Festival, Peter Tarsi, Snow Angel on March 30, 2015 by abeeahs. On Wed. March 18, Attleboro High School (AHS) junior council held a fundraiser at the Bliss Dairy Brothers restaurant located at 711 Park St. Attleboro, Mass. to support the class of 2016. “The money will pay for Junior Prom, which pays for Senior Prom, which pays for Senior week,” said junior class council officer Sara Nasah. 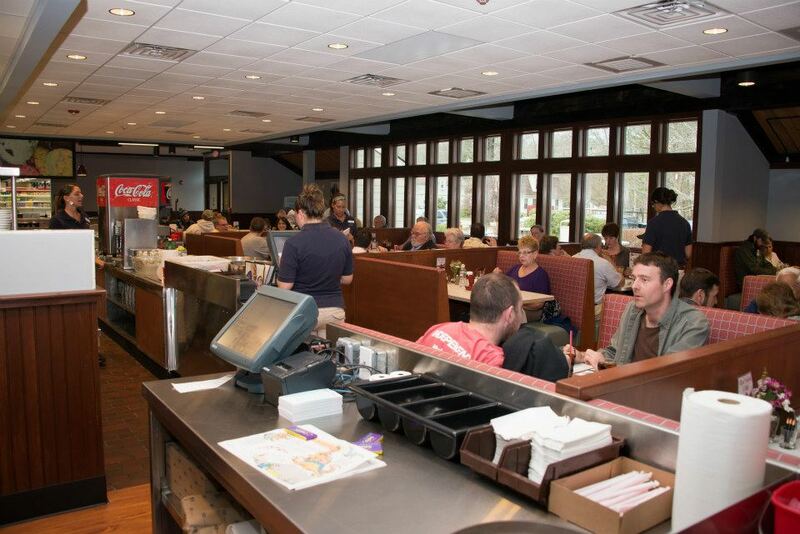 Students requested tickets in the Student Activity Office (SAO) in the days leading up to the fundraiser so they could present them to their waiter in order for a percentage of the proceeds would go toward the junior class. “I saw a decent amount of juniors; not as busy as we had originally expected,” said Bliss employee Tyler Hamel. For schools on a budget, hosting events can be difficult without the sufficient funds. It’s important to raise money and save up to help students enjoy themselves at school sponsored events. Keeping up with the prom and senior week can help students create wonderful memories. This entry was posted in Events & Activities, Home, In & Around AHS, Teen Interest and tagged 2014-15, AHS, Attleboro High School, Bliss Dairy Brothers, fundraiser, juniors, Osiel Orellana, SAO, Student Activity Office on March 30, 2015 by abeeahs. Easter is a holiday that celebrates Jesus Christ’s resurrection from the dead. According to History.com, Easter receives its name from Eostre, a Teutonic goddess of spring and fertility. History.com also stated that Easter is the most important holiday to anybody who believes in Jesus Christ. Aside from the religious aspect of Easter, there is also the other side, which includes an Easter bunny and mounds of chocolate. Every year over 90 million chocolate bunnies are made. Just like every other holiday, Easter has its own traditions. One of the biggest traditions of Easter is an Easter egg hunt, where plastic eggs that usually have candy in them are hidden all over and children have to go and find them. Attleboro’s Easter Egg Hunt is always at Capron Park. This year, due to the bad field conditions it has been rescheduled. The original date was supposed to be March 28, but now it will be hosted on April 11, the week after Easter, which is April 5. The Hunt is always sponsored by the Attleboro Lion’s clubs, including the South Attleboro Elks, South Attleboro Village and the AHS Leo Club. The Attleboro Leo Club’s members fill the eggs, dress up in costume and put the eggs out prior to the hunt. The hunt starts at 11 a.m. Childen ages six and under participate in the hunt first and the over six category follow immediately. 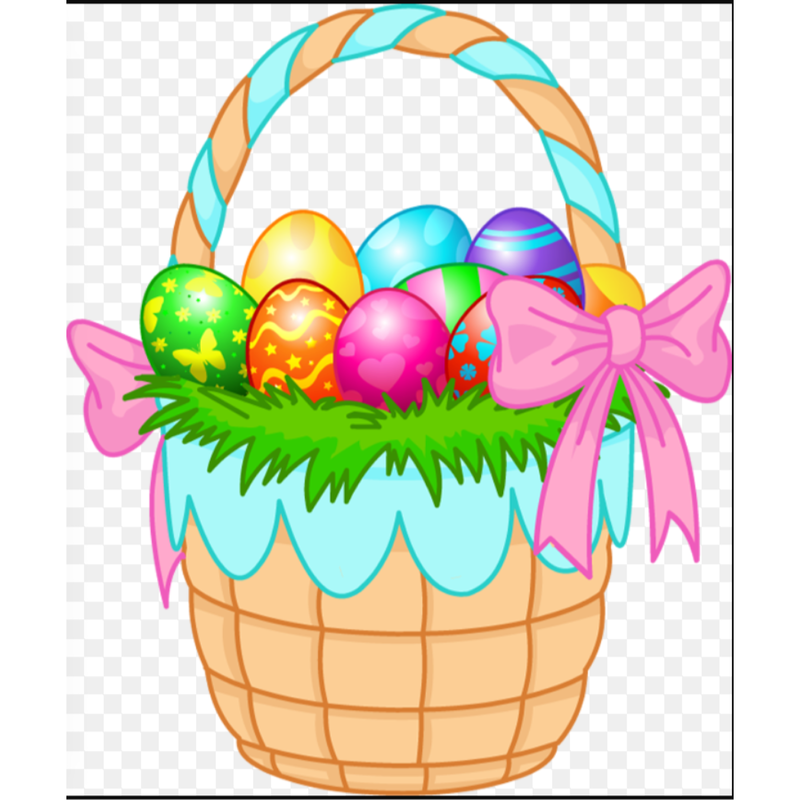 The Easter Egg Hunt is free but all participants need to provide their own basket or bag to collect the filled eggs. This entry was posted in Home, Teen Interest and tagged 2014-15, AHS, Attleboro High School, Capron Park, Charlotte Stanley, Easter, Egg, Holiday on March 30, 2015 by abeeahs. On March 14 Project Unite participants braved the cold wintery mix at Nantasket beach in Hull Mass. to run into the ocean to show support for the Massachusetts Special Olympics and the Attleboro School Day Games. The Polar Plunge was originally scheduled for Feb. 28 but was postponed due to snowy and icy beach conditions. Before the plunge, there is a costume parade for everyone dressed in crazy costumes. Project Unite chose a Mardi Gras theme this year. After the plunge, there were tents set up for plungers to have some food and warm up. “I will miss the community aspect about it. Everyone cheers each other on and there’s such an overpowering feeling of love at the event,” said AHS senior Meredith Alfred talking about her last plunge with Project Unite. This year Project Unite raised $16,240 for the Attleboro School Day Games and for Special Olympics Massachusetts. There were 88 plungers and 120 fundraisers. During the Costume Parade participants were judged on their spirit. Project Unite won two awards this year – the award for Cool School Challenge Top Fundraiser and Best Team Costume. “I’m going to miss dressing up, of course, but really I’m going to miss the plunge itself like running into the water and high fiving the scuba divers the most. It’s exhilarating and I’ll miss the thrill of it,” said AHS senior Janessa Coburn. “Make sure to pack enough warm clothes and go all the way in! You’ll regret it later on if you don’t,” Alfred said. Project Unite includes North Attleboro High School, Bishop Feehan High School and Attleboro High School. Project Unite is responsible for planning the Attleboro School day games and is a student run club. This entry was posted in Events & Activities, Home, In & Around AHS, Personal Stories, Teen Interest and tagged 2014-15, AHS, Attleboro High School, Hunter Wain, Mardi Gras, Massachusetts, Polar Plunge, Project Unite, Special Olympics on March 27, 2015 by abeeahs.